As idyllic as this seems, it really wasn't staged. Our most popular outfitting package! 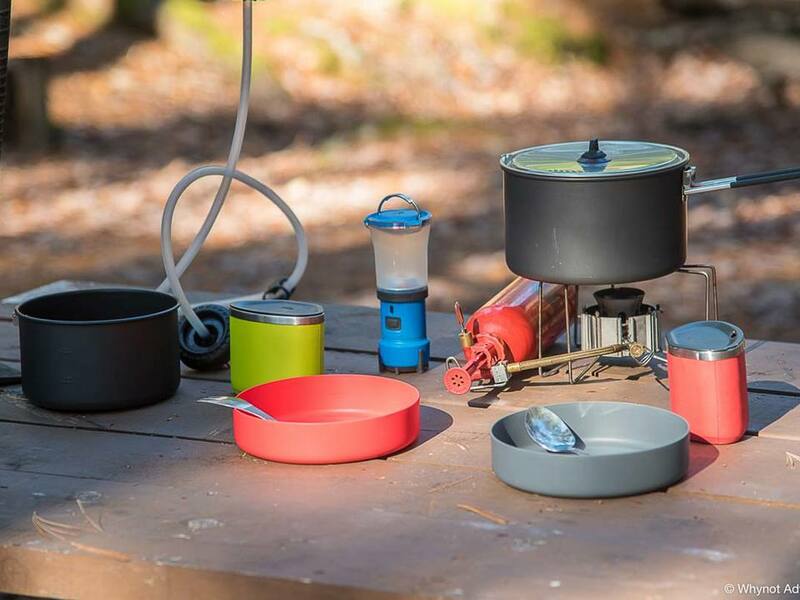 We've got top of the line gear and equipment, combined with the best campsites in the backcountry and, if you like, the finest food you'll find in the wilderness all wrapped up in this best selling outfitting package. And the joke goes: 'you only need a toothbrush and a credit card'. We'll use only the best gear available, and we'll have it packed for you when you arrive. We know all the best campsites in the park and we'll have those reserved for you, too. We also know the best backcountry meals, which we'll tailor to your dietary preferences if you like and we'll have these packed for you as well. See? Simple. There's no need for scrambling through a supermarket with a cart full of hot dogs, canned beans and ramen noodles. You don't have to stay up late digging through your gear looking for your lantern, nor do you have to clean, dry, sort and put away any gear after your trip. 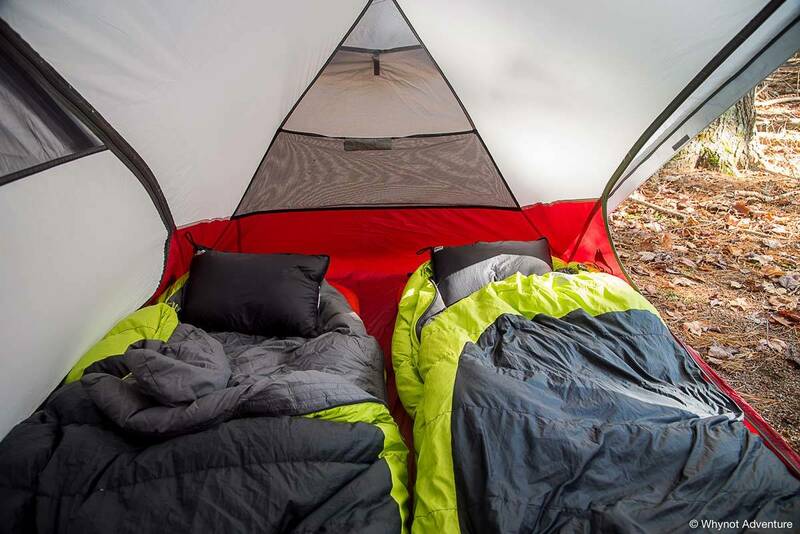 We keep it simple, so you can focus on what compelled you to go camping in the first place. Experience has shown this package can be a tad confusing in terms of pricing. We want to offer a bit of extra info to help with any clarification you may need. Each outfitting package includes items which are shared in the group, such as canoes, pot sets, camping stove and water filter. These items are covered by the per night flat rate. Other items are for individual use only, such as mess kits, sleeping bags and thermamest mats. These items are covered in the per person per night rate. If you want a quote for your group and a range of dates, feel free to start a reservation and fill in the information. You can change group size and duration of the trip as many times as you like. There's no commitment to put in a deposit until you're absolutely sure it's the best choice for you. Some highlights from last season! My brother and I decided to celebrate his birthday with our first visit to Keji. We were excited to find that Whynot Adventures offered several outfitting options. We opted for the [backcountry] package to make sure we had everything we needed, and then some. Our trip was 2 days/1 night. We had 2 lunches, supper, and breakfast included. We had all the canoeing, camping, cooking gear we needed. Our campsite was about a 2 hour paddle with lots of small islands along the way to explore. We were absolutely amazed as we got near our campsite. We had an entire bay to ourselves! We had a nice sandy shore to land on and only a few feet from the tent pad. The site was completely shaded by mature trees and we had a fresh water spring running right through our site. There was a fully-stocked woodshed and a fire pit with benches. We grilled steaks on our beach! Cody and team at Whynot went the extra mile before our arrival coordinating the menu and gear options. Upon our arrival we were greeted with obvious experience and genuine enthusiasm for outdoor adventures. Thanks Whynot Adventures for best camping experience ever! The [backcountry] package definitely delivered!! "Stress Free, Beautiful Adventure" We did the [backcountry] outfitting package and was totally blown away. Everything was thought of from the food, to our experience level. We did a three day trip and they provided everything but our clothing and camera. The meals were awesome, and were suited just to us, taking into consideration our likes and dislikes. We truly ate like kings and queens. We had high winds and they were good enough to adjust our route to avoid areas that were dangerous or extremely difficult. The staff were very friendly and the views were amazing when we went back country. Over all - Great food, equipment and sites. All we needed was a visa! Fantastic. 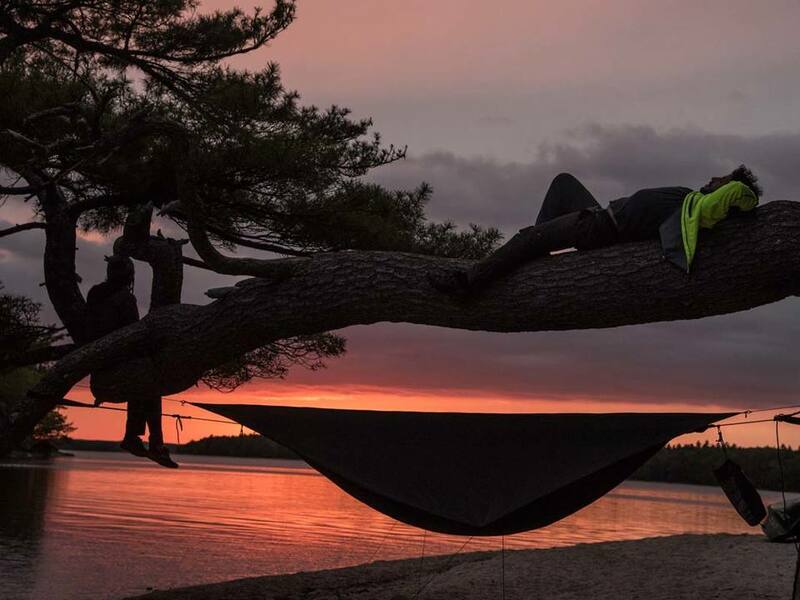 We spent two nights and three days canoeing and camping on Kejimkujik Lake with tents, canoes, food and all other equipment provided by Whynot Adventure. The food was excellent (including sweets and nibbles! ), as was all of the equipment. It seemed new and well cared for. Best of all, we did not need to pack any of it ourselves, or worry about drying and cleaning tents afterwards. The whole package was well organised, and done thoroughly. The area itself was stunningly beautiful, the backcountry campgrounds are in secluded spots, so that you have complete privacy - you often feel like you are the only ones on the lake. The lake itself is dotted with picturesque little islands, and in July the water is wonderfully warm for swimming in, even if the weather is cold. Watching the sunset whilst on an island in the middle of the lake is unbeatable. I would thoroughly recommend this package with Whynot Adventure. I would, however, recommend against sharing your two man tent with your dad, if he snores! Some of the latest shots from the Keji backcountry! As nice as this looks, it really wasn't contrived. We were out on a trip in early June 2017 and there was a low ceiling of cloud, which raised just enough at sunset to create these dramatic shots. For the most part, on moonless and cloudless nights, you can see this with your naked eye. 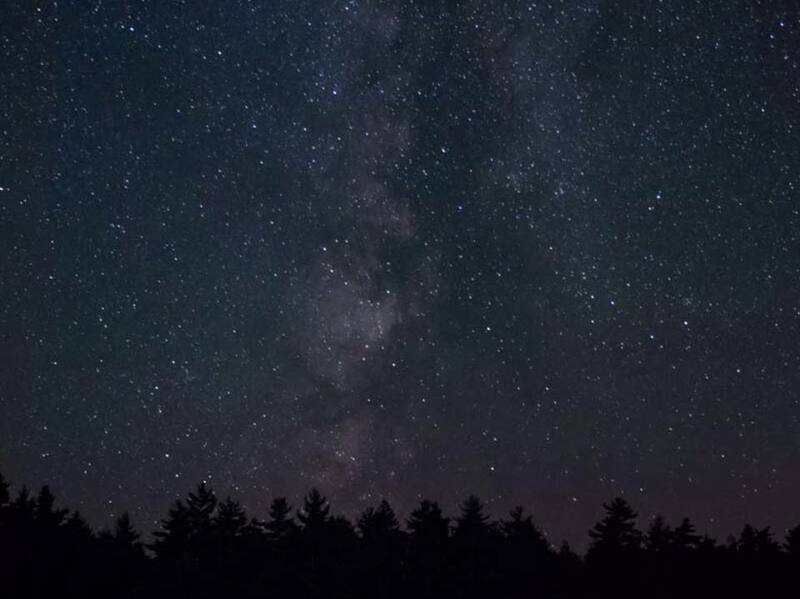 Keji is a Dark Sky Preserve!